Let's Think About Different Ways Of Growing Orchids. Will controlling the climate in a greenhouses help with growing orchids? Is it easier or harder to use a greenhouse?I thought that orchids were difficult. All these are great questions and relate to using greenhouses as well. 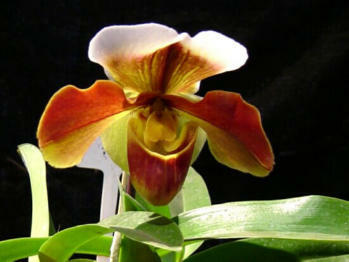 You will see an increasing number of folks using greenhouses very successfully with orchids and lots of other plants. To answer the question simply, The answer is "Yes, you can" use greenhouses for orchids but there are a few stipulations. They will usually do very well and may even bloom more frequently for you. Now to answer some of the questions raised earlier. An green house can be a very good place to grow you favorite plants including orchids. Depending on the style both the light and temperature can be maintained properly. Some orchids will do very well in hot, tropical climates, like Vandas. Others like the see a temperature decrease in the night time like the Phalaenopsis orchids. Your greenhouse will be a special place for you to come and enjoy your hobby. It will be your "sanctuary". Before you purchase a greenhouse be sure you fully understand what will be necessary to help control both the temperature and the light. For example, Phalaenops is orchids like bright light but not direct sunlight. They do like a West setting and late day sun. The Cattleya orchids do well in sunlight. Greenhouses vary both in size, shape and cost. Some use wood as the frame, others use aluminum. It seems that aluminum stands up better to the whims of nature than does wood. It also looks better for a longer period of time. If you live in the Northern part of the US you definitely will need a heat source for your plants. This could be gas fired small furnaces or electric heat. Remember, when you turn the heat on humidity goes down.Some greenhouses will need to have the humidity controlled. Good ventilation and humidity are very important. Most plants including orchids depend on good air circulation. A fan can do this very easily. Be sure to keep the fan clean to avoid the spread of disease from one plant to another. Growing orchids in greenhouses will allow you to grow plants year round. You plant what you want, when you want to, and how you want. You can control the light, temperature, watering and humidity so you will have a healthy, viable greenhouse for your hobby. Need Help With Growing Orchids?